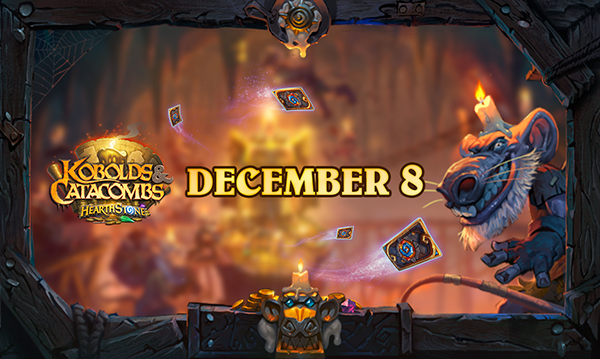 Explore Kobolds & Catacombs on December 8! Azeroth’s rat-like, candle-loving cave folk—the kobolds—have been digging deep beneath the surface for millennia. Their catacombs stretch on for miles, wending through forbidden tombs and breaking through the walls of long-forgotten treasure vaults. A hoard of glorious loot is there for the taking—if you can survive the dangers that lurk in those uncharted tunnels! Beginning December 8, delve deep into an unexplored underground realm packed with malignant monsters, terrifying traps, and treasures beyond imagination in Hearthstone’s newest Expansion: Kobolds & Catacombs! Log in after release to receive three Kobolds & Catacombs card packs and a random Legendary Weapon card, FREE! We’re also adding three sequential one-time Dungeon Run quests*, and each one awards one Kobolds & Catacombs card pack, for a total of three more card packs. Wise adventurers always ensure that their packs are prepped for every peril. Fill your bag with 50 Kobolds & Catacombs card packs for 49,99 EUR/44,99 GBP, and you’ll also add the gleaming For the Hoard! card back to your collection! You will receive your For the Hoard! 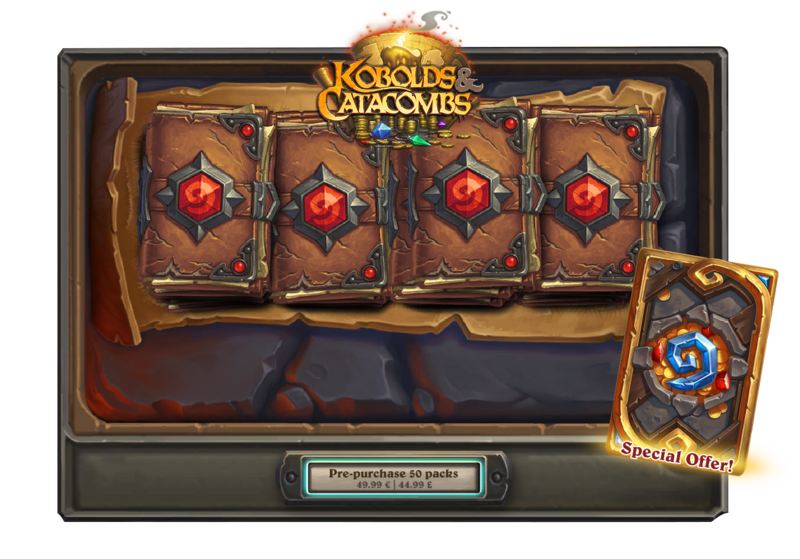 card back and your packs as soon as your purchase is processed, and you can break the seal on your card packs once Kobolds & Catacombs arrives. * Make sure you’ve unlocked daily quests by completing The Duelist quest. It’s also wise to make sure that there’s room in your quest log on release day so none of your quests are replaced!